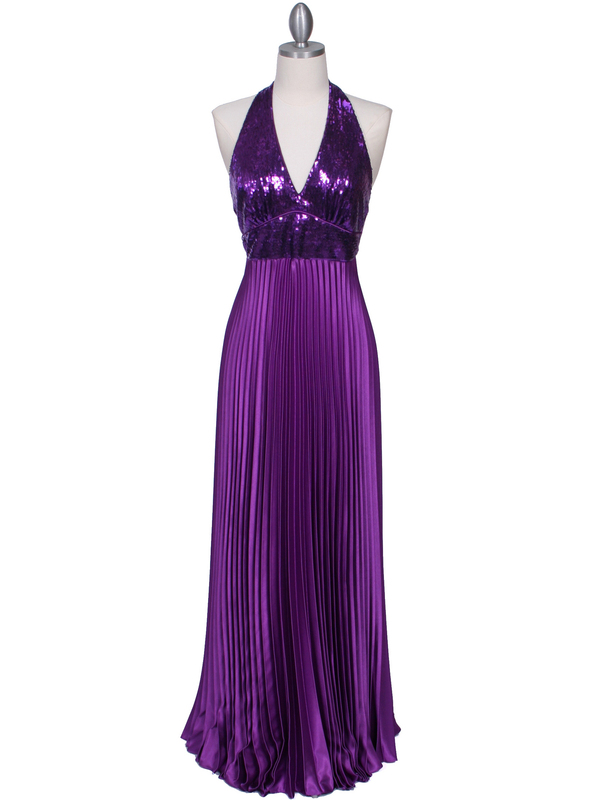 Purple Sequin Top Halter Evening Dress | Sung Boutique L.A. 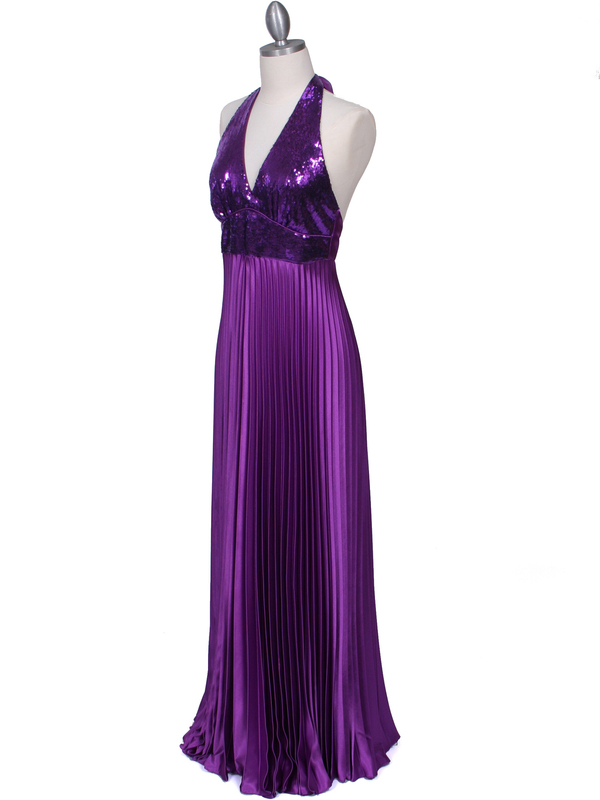 This elegant sequins top evening dress features halter neck with v neckline. 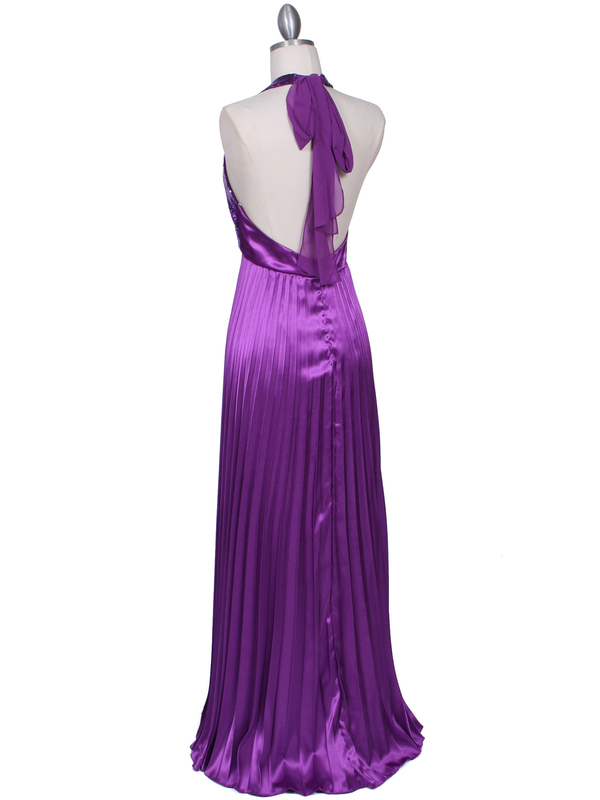 Pleated satin skirt simply adds sophistication.